Fiat Chrysler Automobiles (FCA) will recall 52 recently built Jeep Wranglers equipped with defective doors. 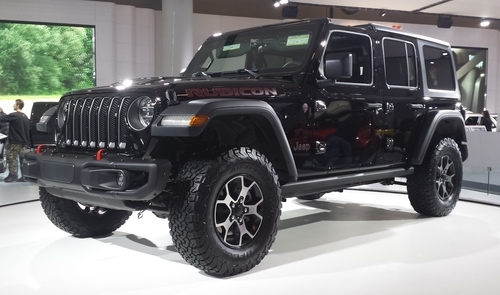 The Auburn Hills, Michigan-based manufacturer notified notified the National Highway Traffic Safety Administration (NHTSA) on Nov. 8, 2018 they will recall 52 2018 Jeep Wrangler vehicles built between Sept. 26 and Sept. 28, 2018. The affected vehicles were built with incorrectly placed right rear door latches, causing the outside door release handle to bind incorrectly. This can keep the door from latching properly, potentially letting the door open and increasing back seat occupant injury risk. FCA’s Vehicle Safety and Regulatory Compliance organization began investigating a potential door latch problem on Oct. 16, 2018, following an engineering evaluation. Engineers from throughout FCA’s branches met and determined the defect’s root cause, which FCA did not disclose at the time of writing. FCA will notify owners, and dealers will repair the right rear door latch reinforcement, free of charge. The recall is expected to begin December 28, 2018. Owners may contact Chrysler customer service at 1-800-853-1403. Chrysler’s number for this recall is UB6. Owners can also visit the NHTSA’s website and enter their VIN to see if their vehicle is included in any recalls.